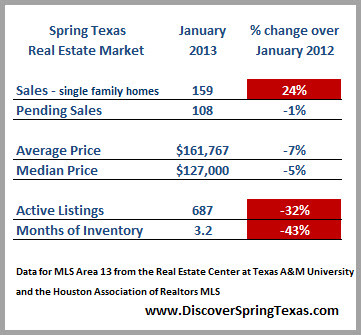 How’s the Spring Texas real estate market? Fueled by first time home buyers and relocating buyers, the Spring Texas real estate market is starting off the year RED HOT! Home sales were up 24% over the same month prior year. Listing inventory is down 32%. Months of inventory has dropped even further to 3.2 months. The Spring Texas real estate market is no longer a buyers market as sellers are firmly in control of price and terms. Listing inventory is low and buyers are jumping on new listings like buzzards on road kill. Sellers are receiving multiple offers and the offers they are receiving are at full list price or higher. If you are thinking about listing your Spring Texas home for sale this year, don’t wait until summer do it now! In anticipation of the EXXON MOBIL campus opening in 2014, numerous new communities are in development in the Spring Texas area. 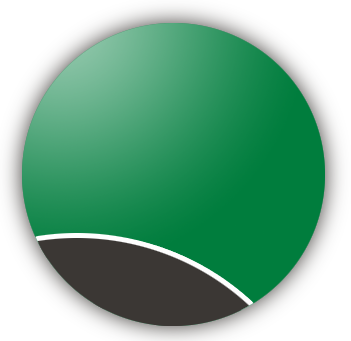 Time will tell if there will be sufficient housing available at the time EXXON MOBIL employees will be moving into our area. Months of Inventory – Sitting at 3.2 months, the months of inventory is extremely low and firmly puts us in a sellers market. Six months of inventory is considered a balanced market. Less than 6 months of inventory have the sellers in control. More than 6 months of inventory have the buyers driving the negotiations. The market has changed and buyers have not realized that the market has changed are being outbid and having to settle for their second or third home choice. Home prices – Average and median YTD prices are remaining steady. Appraisers are still reluctant to recognize the increase in demand and are being conservative in their appraisals. Days on Market (DOM) – Measured from the date a house is put on the market until the date it goes under contract. DOM on market for the month was 83. Homes are quickly going under contract. So don’t wait until the weekend or next week to view a new listing because you may be too late. Realtors all over the Houston area were busy during the month of January. The 2013 January sales for our broker, Better Homes and Gardens Real Estate Gary Greene, was the third highest in their 50 year history. Our Better Homes and Gardens Gary Greene Champions office pended $28 million in real estate transactions in January.